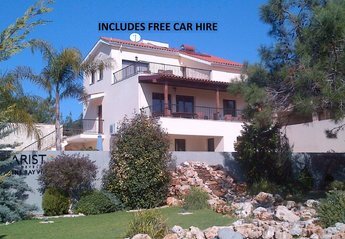 Found 3 holiday rentals in Limassol District. HUGE WOW FACTOR. Overlooks the Pissouri pine forest with dramatic unobstructed sea views. 3 bedrooms all en’suite with private pool. !FREE USE OF CAR! HUGE WOW FACTOR. 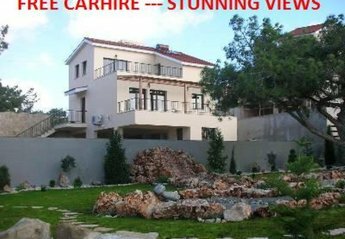 5 bed villa all en’suite with private pool. !FREE USE OF CAR! Overlooks the Pissouri pine forest with dramatic unobstructed sea views. Villa Grand Zeus features a free-form pool and a large pool bar with bbq and offers split-level accommodation with free Wi-Fi. Pissouri Beach is a 10-minute drive away and the airport only 25. We found 3 holiday rentals in Limassol District.